Me and my boys on one of my very first training sessions. And on our very first training session on an island! “You’ve got big muscles, Mom!” my six-year-old giggled as he poked at my legs. “I’ve got muscles like you too,” he flexed his biceps and smiled proudly. He has been watching me get stronger physically through strength training, but he’s observing much more than me building muscle. On September 26, 2014, I made a commitment to myself and my boys. I walked down a long gravel driveway to my first outdoor strength training session unsure of what to expect. All I knew is that I wanted to take care of myself and become as strong physically as I already was mentally. If I could take care of myself – mentally, physically and spiritually – then I could be the best mom for my kids. The previous seven months were long and hard. 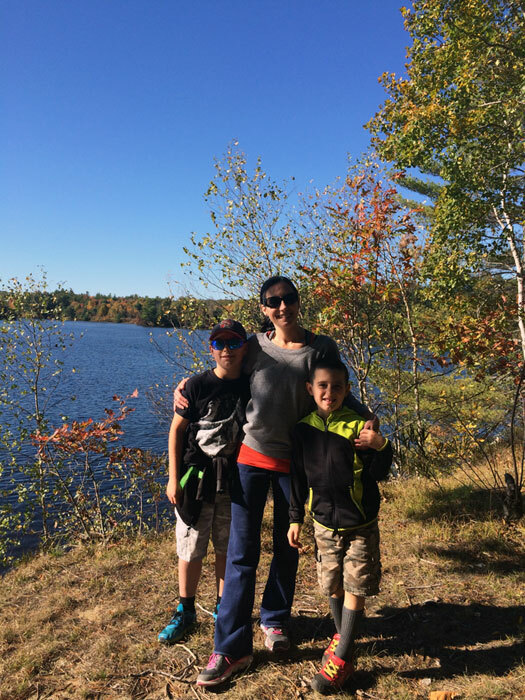 I separated from and divorced my husband, made some incredibly tough decisions, sold my house, moved into a much smaller rental with my two boys, changed my name, worked on my book and started a brand new life. I was happier than I had been in a long time, but I was worn out. There were days that I felt like I should have been wearing war paint. In the process of all this change, I lost weight. They say the divorce diet either makes you eat more or not at all. I had to force myself to eat during the hardest months because I was in survival mode for so long, my body never told me to nourish itself. My first workout at WolfPack Fitness was intimidating. Training is done outside or in a barn, and the equipment is unconventional. I had very little arm strength and could barely lift a wooden beam with two arms for a landmine press or control a lightweight sledgehammer to smash a tire. My form was terrible, and I had a lot to learn. It took time, but I learned. I learned proper form. I learned how to master basic movements we use in everyday life. I learned what my body was capable of. What I was capable of. In the process of this learning, my kids were watching. My gym is also a wonderful, supportive community. I made instant new friends and so did my kids. They often come with me when I work out. They can explore nature or they can join me. Either choice is an enriching experience for them. 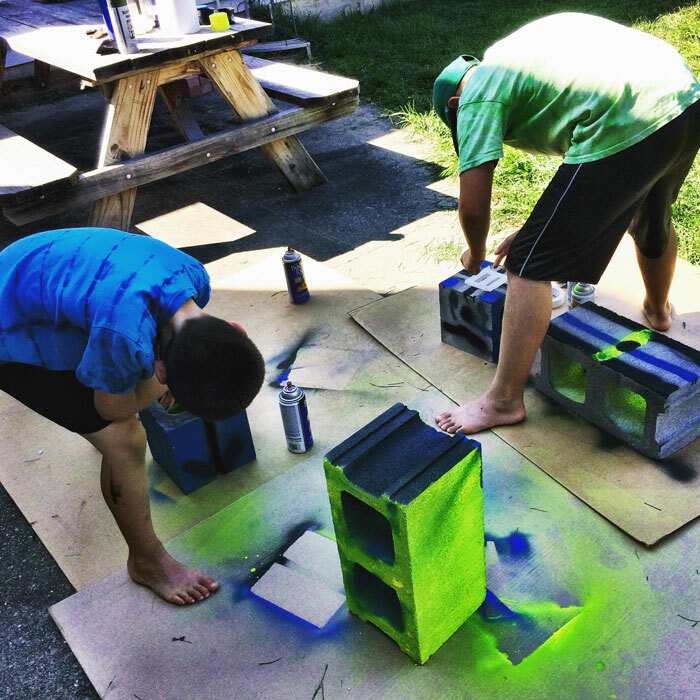 My boys spray painting cinderblocks, our home gym equipment. Today, I can easily do several landmine presses with a weighted beam and smash the heck out of a tire with a heavier sledgehammer. I can even do pull-ups off a tree branch and wield a cinderblock over my head. I have gained a solid ten pounds of lean muscle. I am strong, not only for a woman, but for a human being. My body has never looked better, and I have never felt better. I’ve gained the muscle, as my six-year-old likes to note, but I gained much more than that. Lifting weights has brought me closer to friends I have known for years and introduced me to new friends who have loved and accepted me from day one. It has given me the energy to jump with my kids at a trampoline park for two hours as other parents sit and look on. My training has grounded me, allowing me to handle all the wonderful things the universe has thrown my way over the past year. It has given me a level of self-worth that I have not had in a very long time. As mothers, we do whatever we need to do to take care of and protect our kids. Too often it’s our own self-care that suffers in our quest to be the best mom we can be. I choose to lift myself up through strength training. How do you lift yourself up? This is an original post by Jennifer Iacovelli of anotherjennifer.com for World Moms Blog. 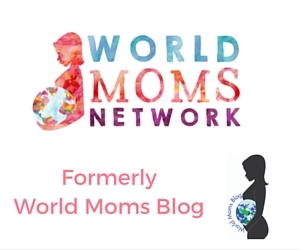 « USA: Feeling Tired, World Moms? You are a true inspiration to not only your family, but to each of us cheering you on from the sidelines. Love you, my friend. So happy you are in my life! Good for you Jen! This sounds wonderful! I have a friend who started strength training as well about a year ago and she looks and feels wonderful. I love that yours is outside. When I was living in the city I started training with a group that was outdoors as well, but since I have moved, that has stopped. I feel like it is so motivating to work out outdoors. Congrats on all of the good changes in your life! Thank you! I think being outdoors brings so many added benefits to the equation. I love it! This is so good to remember and so easy to neglect as a mum. Your gym sounds wonderful. Love that you use things in real world to exercise. We tend to neglect ourselves first as moms, don’t we? I think it’s so important to take care of ourselves and show our kids the importance of self-care. Every single word of this oozes victory, triumph, and the ultimate win. Your journey through such a harsh valley of challenges and pain and big decisions could have surely shifted your trajectory in any way- but you CHOSE this path toward empowerment, strength and enlightenment. And in doing so, you have taught us ALL how to navigate our own paths toward the “win”. 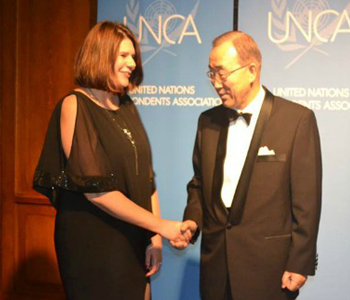 Your courage, your motives, your will and determination are an inspiration to us all Jennifer. I don’t even know how to respond to this, Chris! Thank you. You are such a blessing to me.